Virtual reality is not only a way to have fun with strange gadgets or building immersive experiences. It can also save lives in an operating room, or better people's life. So the use of virtual reality devices to help those people that have disabilities is quite obvious. Many people that are very limited in the day to day tasks of their real life, can get a big degree of freedom in virtual worlds. And VR devices could also be employed to, through the computer, increase their degree of communication with others and the possibilities of doing things that could be impossible without this hardware. Even people with severe disabilities could benefit of this, as no movement is required. Just think in something, that's all. The improvement of this type of hardware is the future. A weak body or a partially disabled one can perform actions easier when suited with this exoskeleton that reminds us some of those that we saw in sci-fic movies. 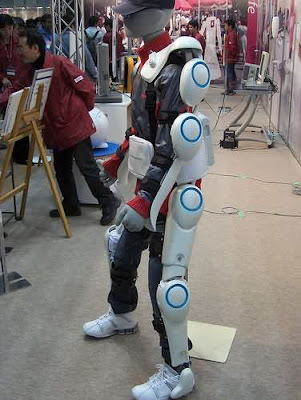 Exoskeleton in an exhibition. Photo by coriolinus. Another brain reading technique. Seems that science tries to go that way, and I think this is a very good news for those with really serious disabilities. 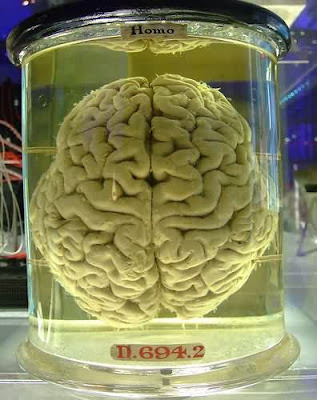 Human brain. Don't do this at home. Photo by Gaetan Lee. This is a technique that has been used for the army, but now tries to be used for games. But it may also help people with disabilities, and it's another approach alternative to brain reading.